Ashley was born and raised in Las Vegas, attending Cimarron-Memorial High School (Go Spartans!!). She worked as an office manager at Monsen Engineering for over 13 years. Her past experience has helped her develop a strong work ethic, multitasking, and problem solving skills. 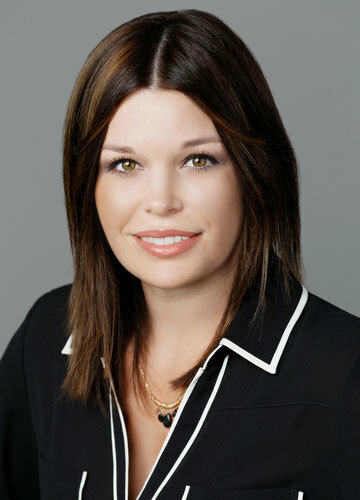 Ashley joined the team at Benson & Bingham in February 2013. She enjoys helping clients through a tough time and finding the best solutions for their needs. She assists attorneys in pre-litigation cases, from the very beginning of the claim throughout the settlement process. When she isn’t working, you are most likely to find her practicing hot yoga, or spending time with her family, both two legged and four legged, and friends. She also loves to travel, especially to the beach, and enjoys watching sports. She will always have a special place in her heart for UNLV basketball, Go Rebels! Nothing up front. Only pay if we make a recovery. Please fill out the below form or call to schedule an appointment.